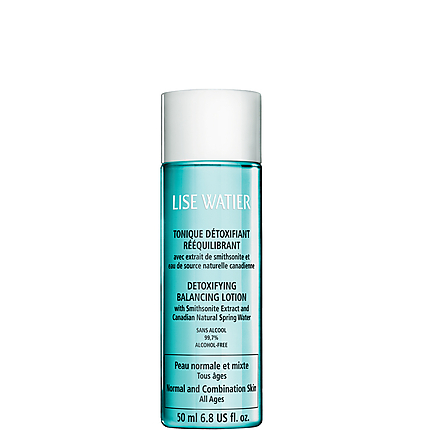 Lise Waiter: Perfect Skin starts with Proper Skincare. Being a makeup artist I encounter many faces, which means I see the naked skin of all my clients. I can confidently say that 85% of clients that I see have some short of skin issue. Dry skin, oily skin, flakey oily skin etc. You name it, I’ve most likely been in contact with it and had to fix it with makeup.Make up can do some pretty magical things and is so advanced now a days. Makeup can pretty much fix any skincare concern you have, but what most people seem to forget is that makeup only covers your problems temporarily while skincare can heal and change the health of your skin completely. I think most people fail to realized this fact. I see so many younger makeup users slap on thick makeup to cover the concerns they have. I just want you to remember, you only have one face. Take good care of it. Why not invest some money into skincare that will provide you with better long term results rather then covering up behind a mask all the time. Don’t get me wrong, If it wasn’t for the people who loved to get dolled up I wouldn’t have a job. But why not feel just as nice when you’re not wearing makeup? I myself have struggled with skincare issues from acne. When I was 16 my acne was so bad that I had to go on Accutane. Accutane caused me to have nose bleeds and stomach pains so I had to stop taking it. By this time my skin was so dry I could peel off sections of it. IT WAS SO GROSS. Anyways, the point Im trying to make is that after this whole ordeal I begun taking care of my skin to regulate everything. I made sure that I always took off all my makeup, used a proper Face wash, Toner and Moisturizer. 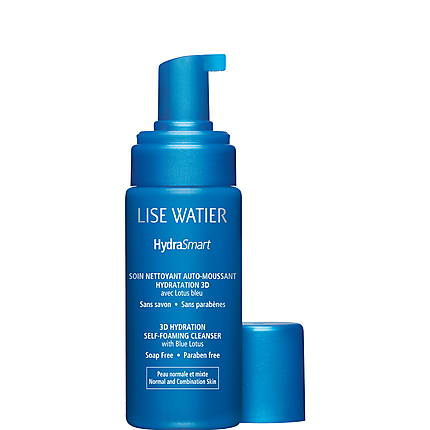 I have recently started using Lise Waiters Skincare products and I must say I am pretty impressed! I confident to say that all the products are SOAP FREE, PARABEN FREE and most products ALCOHOL FREE and FRAGRANCE FREE!. Here is my Skincare routine that takes no longer then 5 min a day. Step 1. 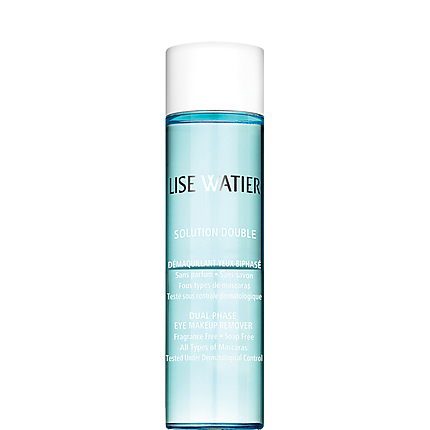 Lise Waiter Solution Double : Removes makeup super fast, super clean without a greasy feeling or burry eyes. Works great even with my waterproof makeup. Makeup Removal is so important! You want to make sure you have a clean face before you wash it or you’ll just be massaging makeup into your pores. Estimated makeup removal time | 1min. Step 4. 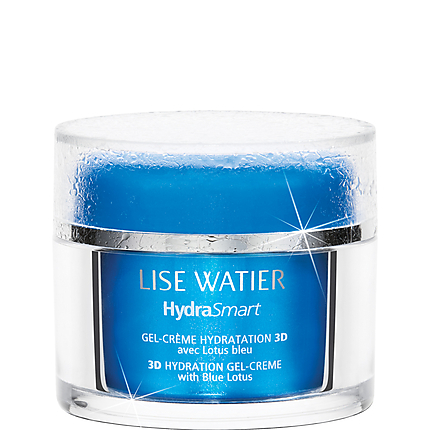 3D Hydration Gel-Creme : This cream restores your skin’s natural ability to instantly capture and hold water inside the epidermis cells for up to 24 hours, non-stop. It’s ideal for normal to combination skin and because its a gel base it never feels oily and your skin will soak it up in no time! I don’t care if your skin get oily during the day, you still need a moisturizer. Treat your skin like a normal skin and it will become a normal skin. Does that make sense? If you deprive your skin from moisture it will just end up producing more oils thinking that you don’t have enough on your face and the end result, VERY OILY SKIN. However if you treat it with someone that moisturizing and oil free it will think that that moisture content is enough and your skin will no longer produce unnecessary oils. Estimated time | 20 secs. So if you have 5 min a day than you too can have amazing skin in the long run. You can get all these products on www.lisewatier.com. ~ by aglowbyjoan on February 20, 2012.